The Nadezhda Municipal Institute of Culture (MIC) is the biggest one in Nadezhda suburban area of Sofia. Residents of Krasna Polyana, Banishora, Vrubnitsa, Trebich, Lyulin, Obelya and Nadezhda districts feel intrigued and pleasantly surprised by our varied and innovative, accessible and exciting creative events. Our mission is to keep, develop and popularize the Bulgarian musical culture and art. The Nadezhda MIC offers professional products for the different age groups, providing equal opportunities to all to experience unforgettable moments with our incomparable, high quality cultural events. By means of music we foster education locally, visit institutions and places of residence and attract people to our concert hall. The Nadezhda MIC has a close relationship with people of the third age, living in retirement homes. For disabled, minority children and children deprived of parental care we give musical performances locally or in different concert halls. The Nadezhda MIC occupies a modern building at a place with excellent public transport network across the area. It is the cultural centre of Nadezhda. We rent premises for creative events, thus bringing together people of different ages and nationalities. 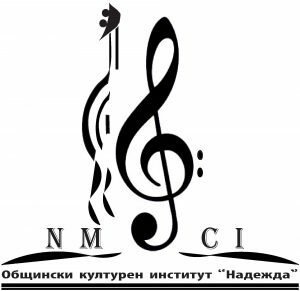 The Nadezhda MIC has become a House of Art and Culture which, through its activities, will continue to contribute to making Bulgaria part of the European and global musical culture. We enhance cooperation on a national and international scale, hoping and believing that music together with the rest of arts can stimulate empathy, self-education and inspiration as well as make us all better people. We change the system, apply higher criteria and cultivate a taste for beauty by means of preserving, developing and spreading the art of music. to broaden cooperation with partners from all over the world.